The term “fashion technology” sounds big and technical. In reality, it’s extremely accessible. We experience it everywhere, every day. From the fabrics we touch to the stores we shop, fashion technology permeates every part of our consumer culture. Jennifer Margolin, founder of the Social Edge Summit, describes it as the space, “where technology and fashion have merged to create faster and more innovative ways to design, create, connect, educate, market, shop, and ultimately experience the fashion industry.” Companies have proven that this can happen on all levels: customer experience, product development, even material design. To understand the value of investing in fashion technology, let’s look at a few companies who have challenged the status quo and succeeded. Raise your hand if you know Warby Parker ? You might have a pair of their frames on right now. I do. Walk any of their brick and mortar stores or visit their website and it will look and sound radically different than a traditional optometrist. By pairing new technology like Find Your Fit with flexible service (home tryon), Warby Parker removed the points of friction in the shopping experience. They put the power in the hands of the consumer, and in doing so, inspired a legion of extremely loyal customers. The idea of a frictionless brand experience takes on an entirely different definition in the context of Wearable X , a techenabled apparel brand. Put on a pair of their Nadi X yoga pants, open their app, and prepare to practice yoga like never before. 10 haptic motors and a series of accelerometers are embedded directly into the fabric to provide feedback and correct positioning in real time. As you move between poses, a machine learning algorithm detects your body posture and sends slight vibrations to adjust your hips, knees, and ankles. Like Warby Parker, Wearable X provides “ondemand” service by thinking creatively about how to use technology. If we look further, we’ll see that fashion and technology can collide on a cellular level, too. By rethinking the physical makeup of cotton, designers and researchers at CCI’s What’s New in Cotton Program are changing how fabrics feel and function. Solucell ’s lightweight, hollow fibers, for example, are designed to regulate body temperature and improve moisture management. Cotton has always been synonymous with comfort, but Solucell’s patented technology ups the ante. In doing so, it delivers more benefit to the end consumer. Another example is Celliant , a proprietary mineral matrix that can be embedded into the core of a yarn. During exercise, infrared electromagnetic light energy produced by the body is captured by the matrix and then emitted back to enhance oxygenation, performance, and recovery. In clothing developed with Celliant, consumers experience the power of fashion technology the second they put the garments on. As these innovations are specced into the tech packs of designers around the world, the impact of fashion technology becomes global. All of these companies are pushing the limits of what we, as consumers, know as possible. They’re reimagining every step of the consumer journey, from shopping to wearing to sharing. That’s what’s so exciting for me as a designer — it’s all changing. When we combine science — be it chemistry or big data, design, and consumer insights, we get fashion magic. In some cases it results in your favorite pair of frames, in others it’s the future of fabric. All of it is fashion technology. And all of it is happening right now. Jessica Hemmer is the founder and creative director of Hemmer Design. With over a decade of experience in the sportswear, fashion, and advanced materials industries, she understands the design and manufacturing landscape from both the brand and supplier side. Her studio helps companies identify their place in the future and works collaboratively to build the product to get them there. The fashion pendulum swings toward cotton. 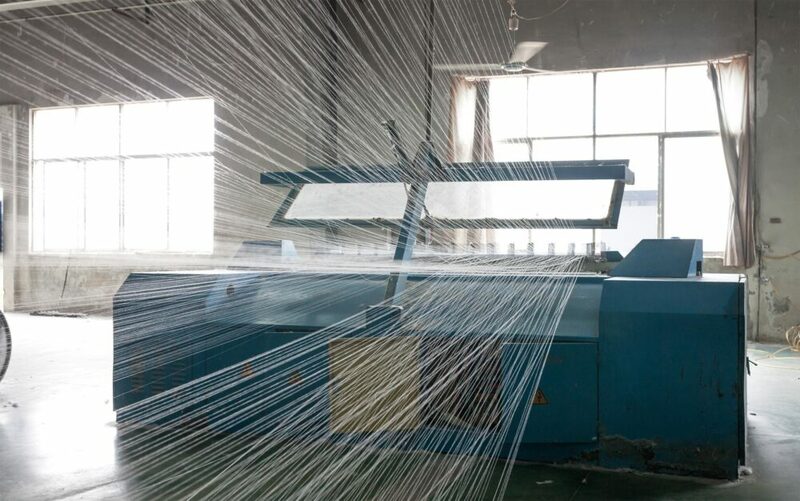 Conscious consumers want a textile they can trust. Learn why cotton is still the first choice for so many. Fiber neps have always presented a challenge to mills and manufacturers.